The goal of the guidelines is to establish trust and flexibility for those who wish to support the Making Strides Against Breast Cancer Across Second Life. This list is meant to guide you in your decisions for planning your fundraising. This is an online virtual fundraiser, unlike any others. If there are any questions about these guidelines, please contact the MSABC Event Leaders to discuss. There may be times of special circumstances considering the platform that we are utilizing to fundraise. Make sure your fundraising events are tasteful. 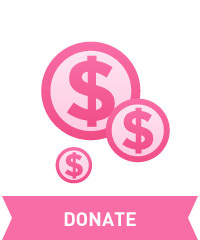 Fundraising events should be held within good moral standing as to represent the American Cancer Society. Volunteers are responsible for their own events. The MSABC committee is not responsible for regulating individual fundraisers or events, but may offer coaching and advice. The American Cancer Society and the MSABC committee can only vouch for fundraising activity that utilizes officially approved fundraising tools. The Making Strides Against Breast Cancer and American Cancer Society logos should not be used on any item that is for sale. The American Cancer Society reserves the right to deny association with any avatar or fundraising event that does not meet the criteria of our fundraising guidelines.